Despite registering with the PDGA in 2007 and taking home 2nd place in the Junior II Girls division at the USWDGC that year, Rebecca Cox wasn’t a household name until just a year or two ago. Partnering with Ricky Wysocki under his Sockibomb branding, Cox embarked upon her first touring season in 2017. 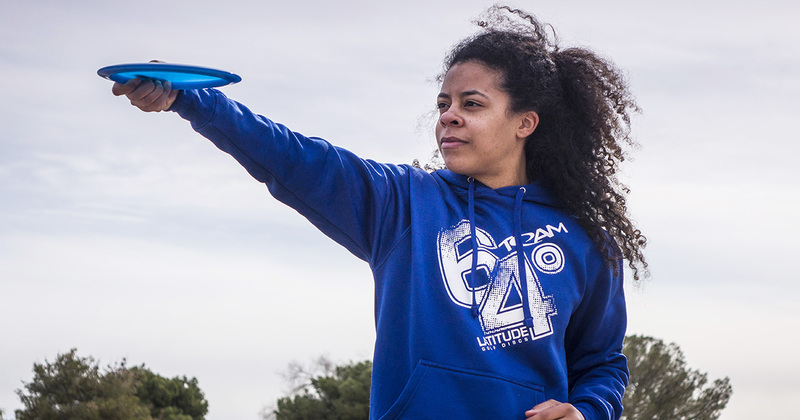 Now, the 21-year-old player has joined the Latitude 64 team and is already showing the disc golf community that she can excel against the toughest competition out there. Coming off of two solid finishes at The Waco Charity Open and The Open at Flat Creek, she shared with us what’s in store for 2018. 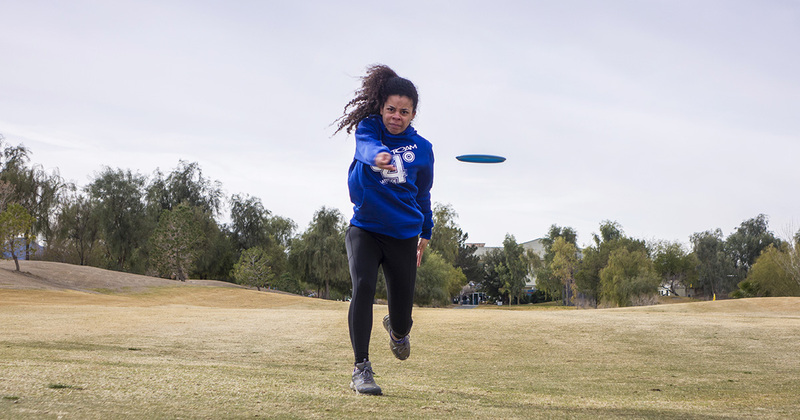 As many newly sponsored players will note, finding a rhythm and learning your discs can be one of the more challenging hurdles to face at the start of the season. Rebecca described the process of learning her bag as fun, yet with a little bit of stress mixed in. After all, when your success depends on being able to predict what your plastic will do, it can be slightly anxiety-inducing. 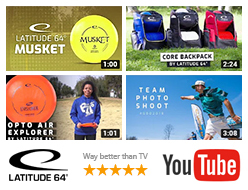 “I’ve had a lot of great discs recommended to me, which takes a lot of the guesswork out of it. But I’ve also looked closely at some flight numbers to see what would work best for my game. It’s been a lot of trial and error, but with every tournament I play, I learn more and more about my plastic. Right now I’m kind of in an awkward stage where I’m carrying way more than I need because I’m trying out so many different molds at the same time,” said Cox. She seems to be doing just fine though, as she tied for 4th in Waco, beating veteran players including Catrina Allen and Jessica Weese. The following weekend she placed 3rd at The Open at Flat Creek, shooting well above her rating during all three rounds. “I feel pretty good about my finishes in both tournaments. Of course I wish I had done better, but I’m still way ahead of where I was last year. In Waco this year, my total was 208 – an entire 36 stroke improvement over last year! My outlook for the rest of the year is nothing but positivity,” she said. Rebecca contributes her 2018 success to a variety of factors but cites that her mental game has improved the most compared to last year. Combining this change with an offseason workout regimen and fine-tuning her bag will no doubt bring her more confidence and will push her higher up on the scoreboard during each event. Rebecca is an amazing addition to the Latitude 64 family and we can’t wait to see what’s in store for her this year and beyond!